Martin sounded like an excitable child, telling us about the energy and resources at Sky, along with their determination to make something as good as it can be. 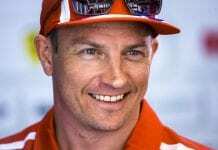 In fact, David Croft said that arriving at Sky for the announcement was akin to the first day of school – seeing some friendly faces and some new faces with all the buzz and anticipation of something new. Martin explained why he thinks it’s good for both the BBC and Sky to share the 2012 coverage and how it will benefit F1 fans. Brundle explained how Sky wil be covering “anything and everything F1 – they will be at all the testing and for GPs, they’ll be there from the Tuesday. GP2 will be around that too along with other exciting things in the paddock. Sky will use anything and everything to maximise their F1 opportunity.” We pressed further for information about GP2 and the other support races, but nothing has been confirmed yet, although it’s clear that GP2 will not be ignored. Crofty informed us that there will be a “big preview programme” ahead of the season, which will include what all the teams have been up to and of course, include footage and news from all the winter testing. From all the tweets about Sky F1, one question that comes up is about the theme tune and whether Sky will have Fleetwood Mac’s “The Chain” or not – now, Brundle and co couldn’t confirm one way or another, but it does sound like Sky are considering alternatives, Brundle joked “with all the drivers moving about I think the Magic Roundabout would work quite well”. Fact – F1 fans love data and Sky is well aware of this – as a result, although details are yet to be finalised, the coverage will feature the ability to look at data during the race, and for those that want to, they can drill-down and enjoy a wealth of information, as well as onboard cameras and the like. The BBC used to switch to the ‘Red Button’ for the Forum after the race, whereas the Sky coverage will just keep running – it’s great to know that there will be efforts made to cover the entire grid too, Ted and co seemed rightly pleased about that. With all the additional resource and time, we had to press for more details re other innovations Sky is looking to bring to F1 coverage – although much is to be sorted out as yet, Brundle did say that there will be a lot more graphics and technology, and time to use it for the post-race analysis – the mind boggles at what this could be… Crofty explained that for the commentary, they’ll have more info than ever before and so there will be less speculation, more fact – which can only be good thing. On the topic of commentary, David Croft will take the lead commentary role, with Martin concentrating on the strategy and such like, as he did back in the ITV days with James Allen. Martin’s very happy with this and loves that he’ll be able to get more time to get involved with what he loves – we can expect more of a grid walk too, with Sky being on the grid earlier and for longer than before. 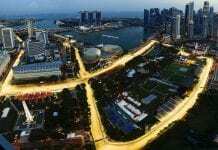 Ted explained that often, in 2011 and before, they’d have people and cameras on the grid, but be showing a pre-recorded video clip because that was schedule – it definitely comes across that the new Sky line-up are pleased with the extra time they’ll have. Overall, the new Sky channel was only properly announced a month ago and so there’s plenty to be done between now and March 2012 and more details will be confirmed in the new year. Badger will be bringing you all the details and we’ll be visiting Sky in the new year to get a behind the scenes look at their plans and ideas too, so look out for that. In the meantime, here’s some answers to those common questions about the 2012 coverage on Sky. Learn more about Natalie Pinkham on her website here and also Georgie Thompson via her Sky profile here. No adverts during the race – Brundle wouldn’t stand for it! You don’t need Sky Sports, as long as you have Sky HD you’ll be ok.
See Sky’s FAQ for more such quick facts.